Happy Halloween Everyone!! If you have little kids at home, I wish you loads of fun if you go trick or treating. If you don't, and you hand out candy, have fun looking at all of the creative costumes all those hard working mothers put together. If you are still in the spirit, here is a little goody for you. 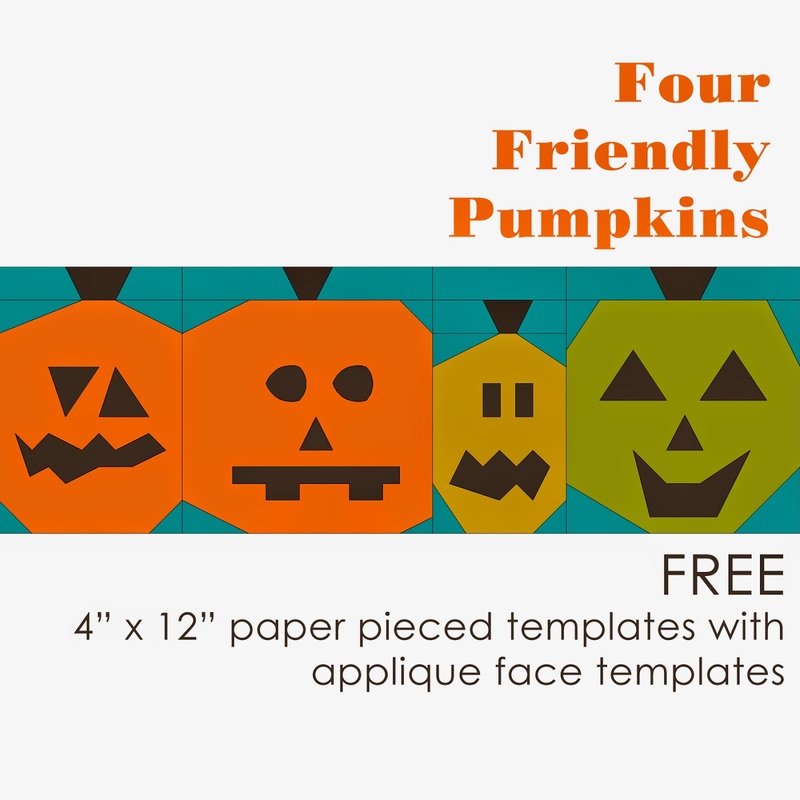 My Halloween Goody is a little paper piecing row of pumpkins finishing at 4" x 12". 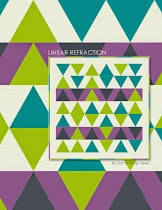 My challenge to you - print out these paper pieced templates and make something with them by November 20th, 2014. Send me a picture of what you made using "Friendly Pumpkins" in the header. I will post all pictures online. 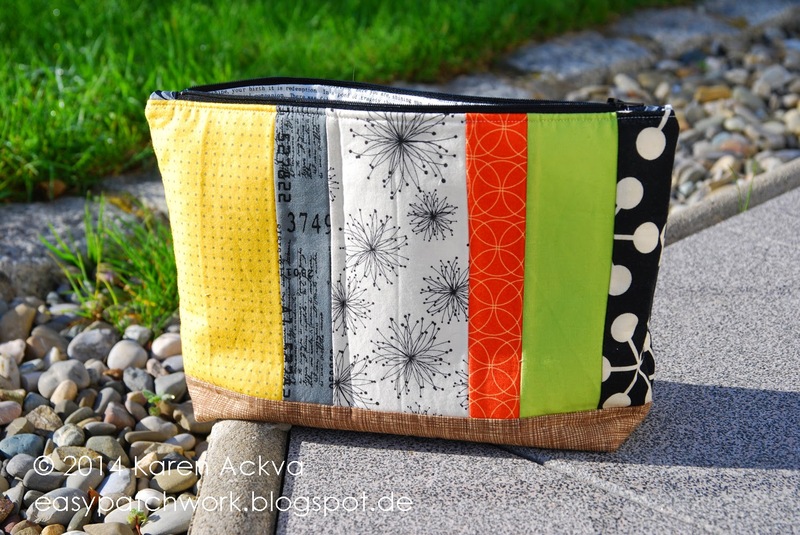 One lucky Halloween (or sewing) enthusiast will randomly win this lovely handmade zippered pouch using Zen Chic fabrics. It is that simple! 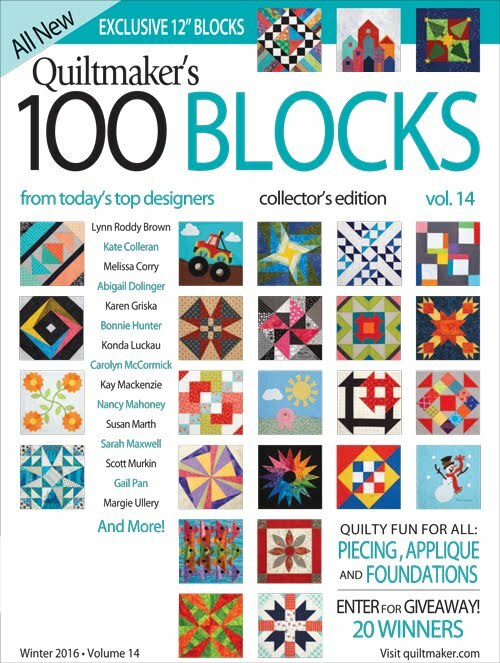 You can jump on over to Craftsy to download the free pattern at my easypatchwork store. 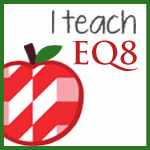 You can use the appliqué templates provided or you may create your own. Have fun with it. And if NO ONE makes something to show or share with us, I will be quite content, because I love my Zen Chic Zippered Sewing Pouch and really don't want to part with it!! I have discovered that the month of October is flying by. Where has the time gone? 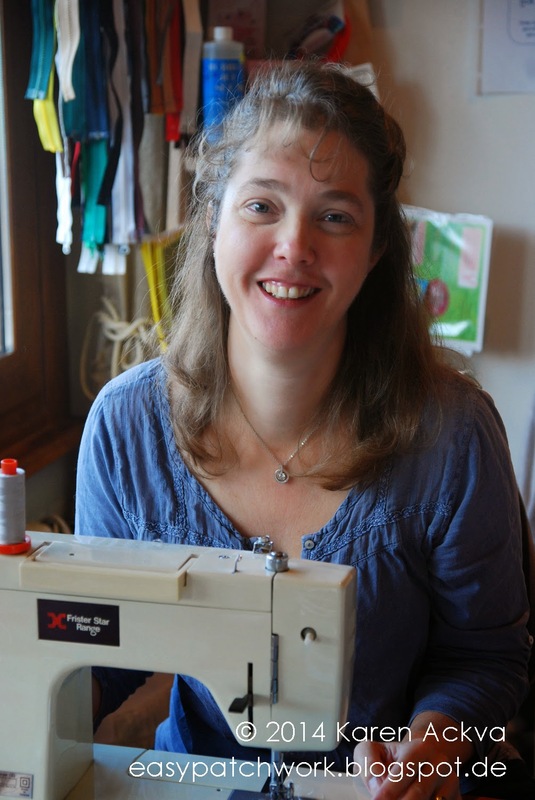 Even though I am very busy this month I am still getting in my sewing time which makes for a happy woman. 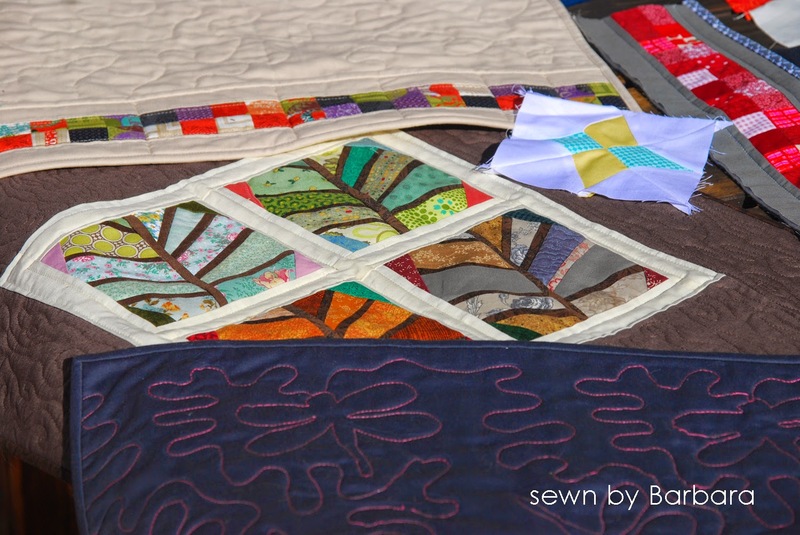 I am totally in the fall spirit and with it, sewing leaves in all different shapes and styles. 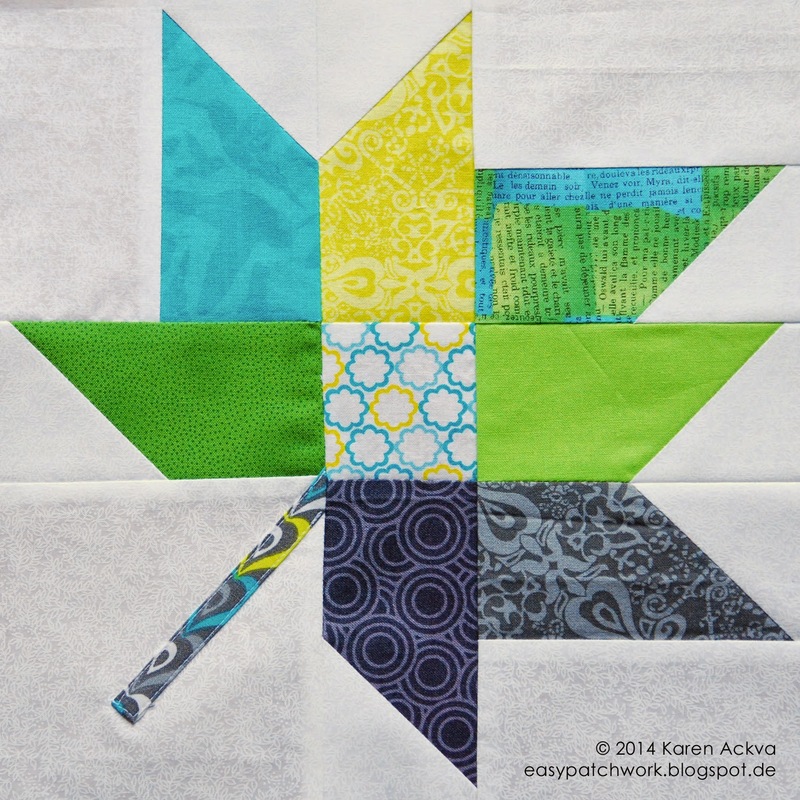 It first started with my paper pieced Autumn Leaf and kept on going. 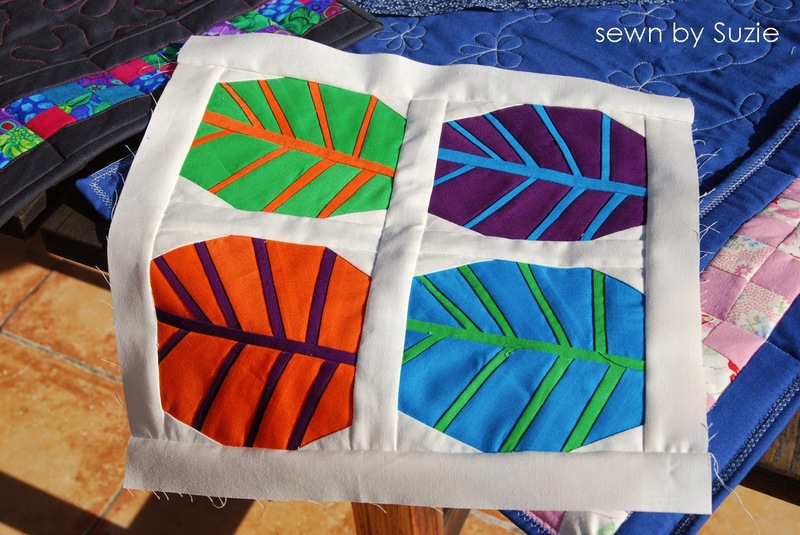 And shortly before I made this colorful leaf, I decided to go simple this month with my Doll Quilt Swap partner and make a variegated table runner in a more modern color scheme. Was I successful? There is a peachy color in there! Is it modern? I like the playfulness of using somewhat of a "traditional" fabric on one side and a more "modern" fabric on the other. I like it! 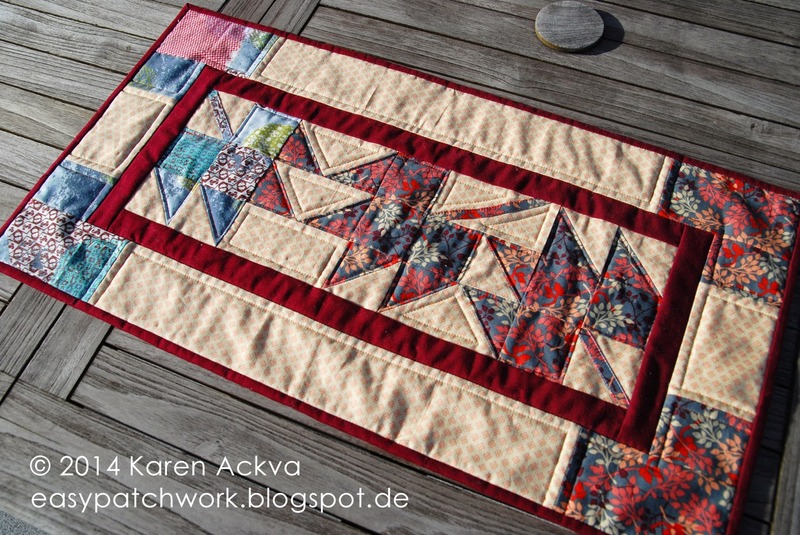 I managed a little outline quilting (straight line of course). 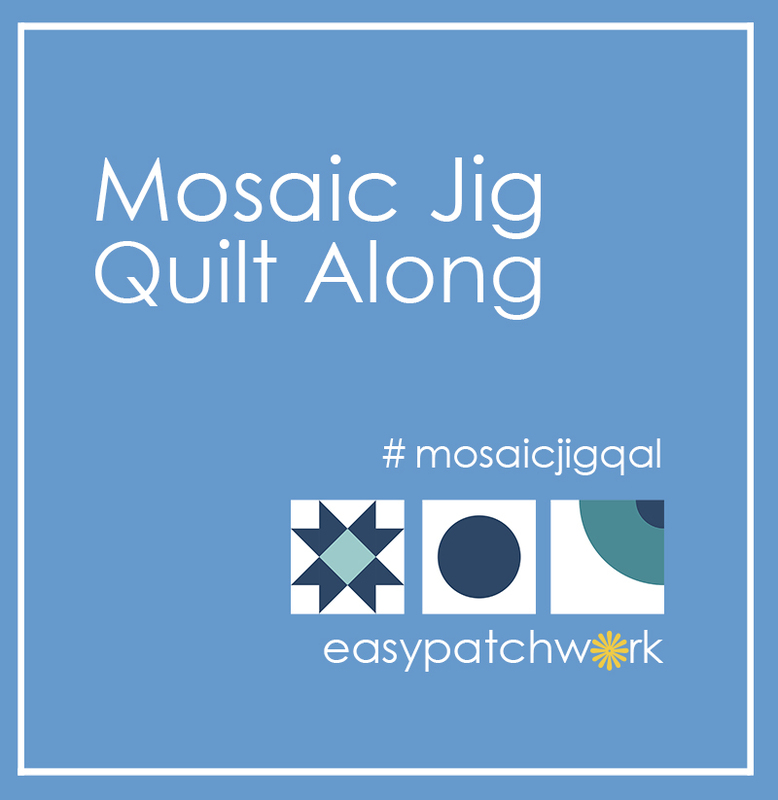 I thought about FMQ, but I didn't want to mess it up. ;-) That's my excuse and I'm sticking to it. How is your fall going? Are you in the fall spirit? Is it windy and rainy where you are? Or is the sun shining and giving your that gorgeous orange glow? What do you like about autumn? Hello Everyone! 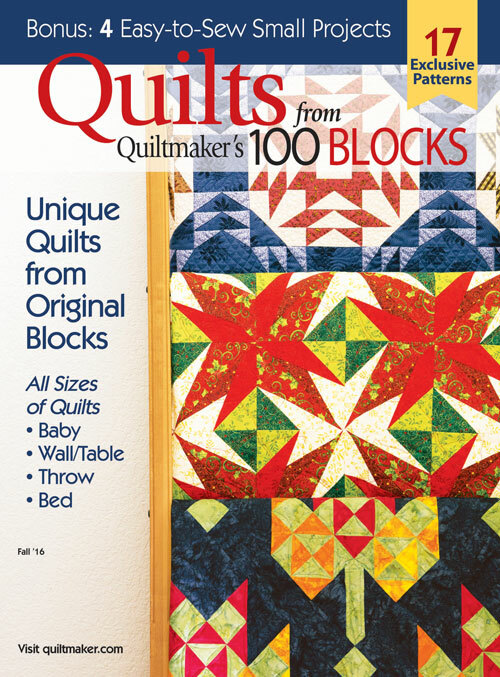 I would like to share with a quilt I received from my Doll Quilt Montly Swap partner, Lorna. 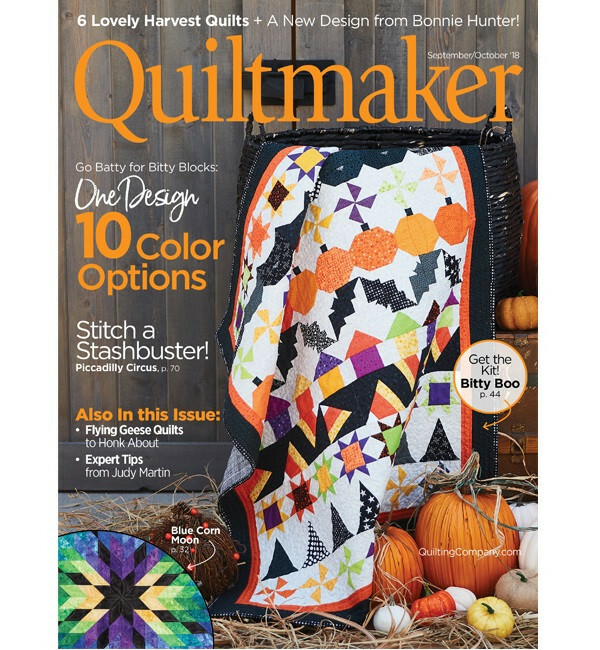 We decided not to go with the monthly theme of "Back to School" and make Halloween Quilts for each other instead. Lorna lives in the UK and doesn't really celebrate Halloween, so it gave her a chance to be a little creative and jump out of her comfort zone. 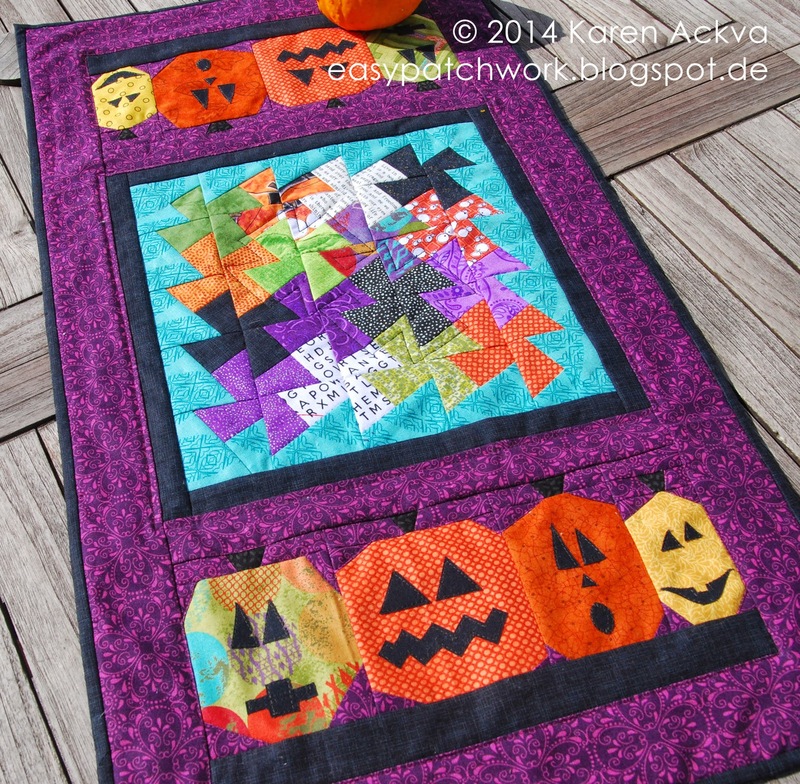 She made this really beautiful Halloween Dresden using Halloween and linen fabrics. I was totally happy to have received it! 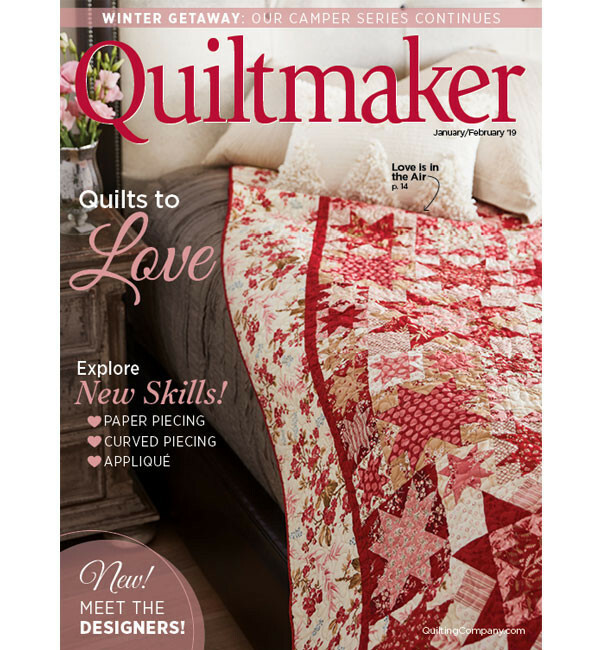 She did a really fantastic job at quilting it as well! Thank you Lorna! Do you celebrate Halloween? Do you decorate your home? Do you scare Trick or Treaters or turn the light out when they come around? 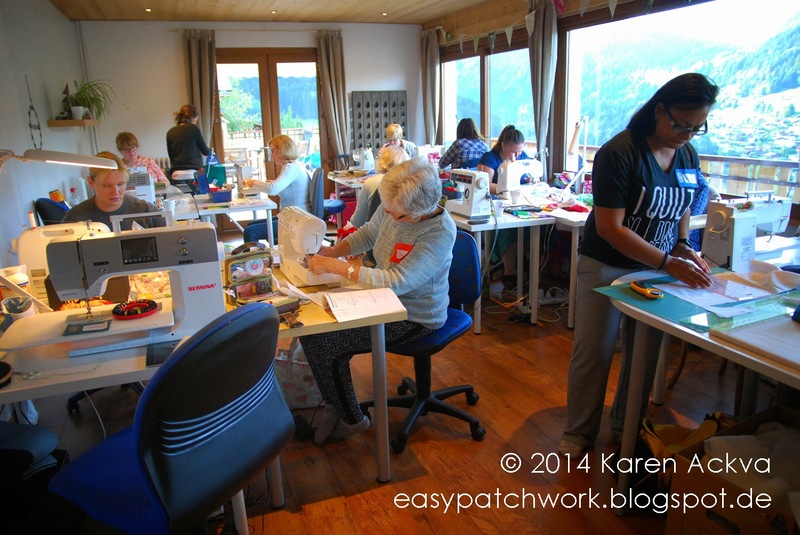 Last weekend, I was at Patchwork at the Peaks in Morzine, France hosted by Elita Sharpe. It was one of the most rewarding retreats that I have ever attended. If you know me, you know I don't lie or fluff! 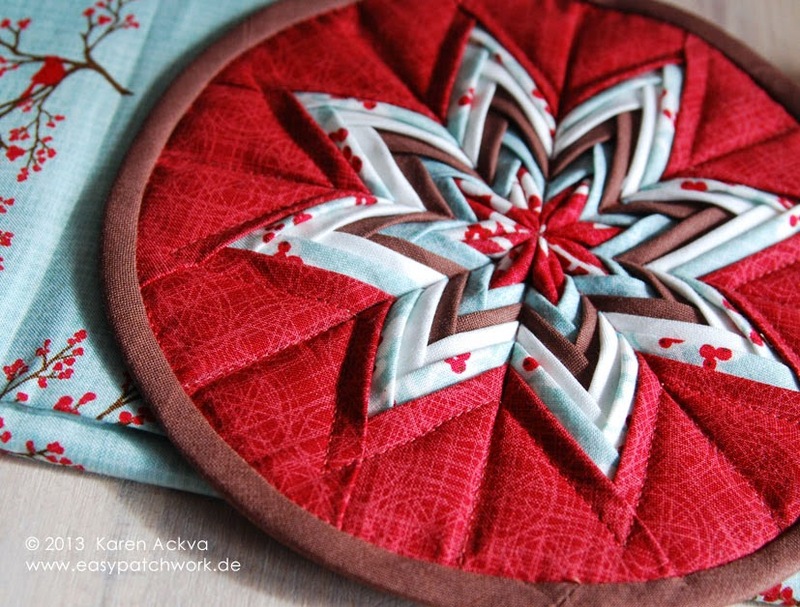 Not only did I participate, but I was also allowed to give a morning introductory class in paper piecing. I designed this simple autumn leaves template which is a great starter for learning foundation piecing or sewing by numbers. 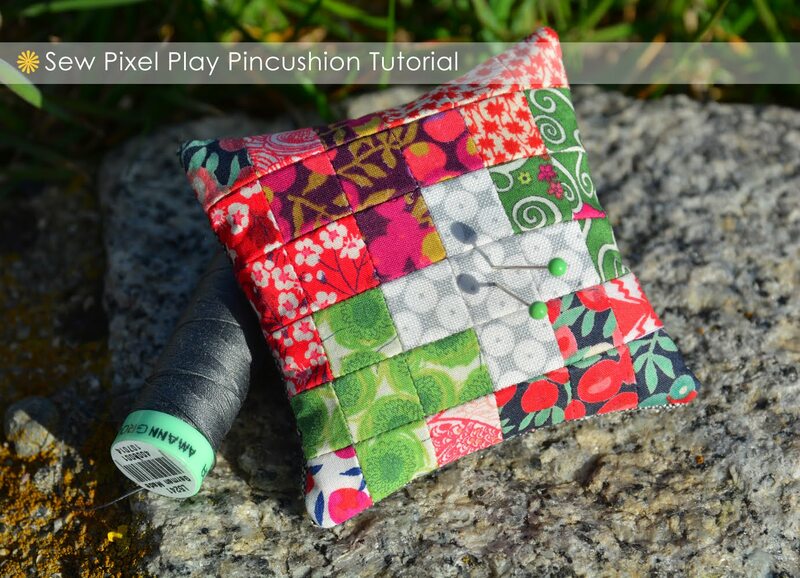 No lines have to match up and if you don't sew directly on a line, it isn't noticeable at all. And the best part of it all - it is a great stash buster!! 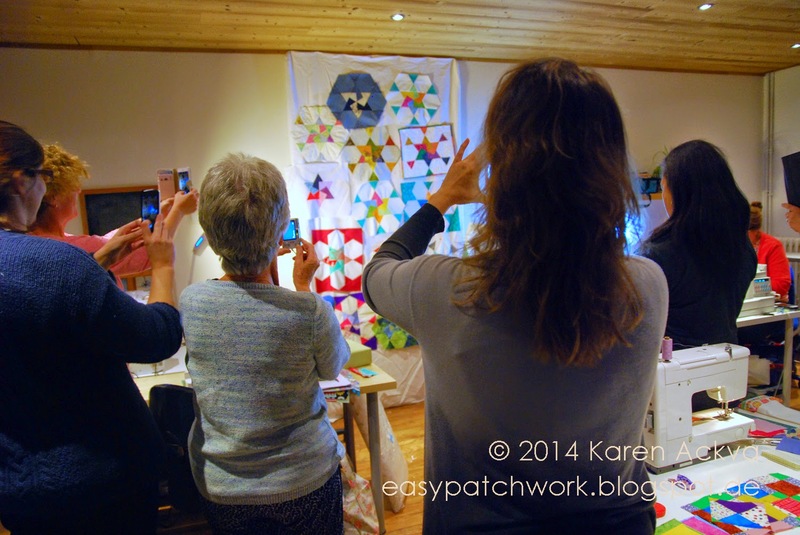 All of the ladies were eager to try out the pattern and take a whirl at it. 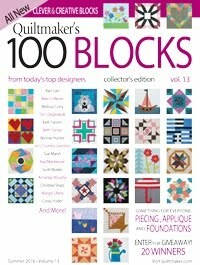 And more importantly, everyone finished the project and most made not only one, but two of the 5" blocks. 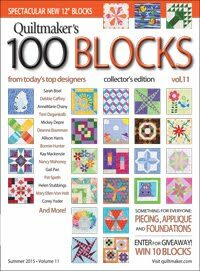 I was very impressed with how the ladies quickly took to understanding paper piecing. I didn't catch on that quickly when I first started foundation piecing. 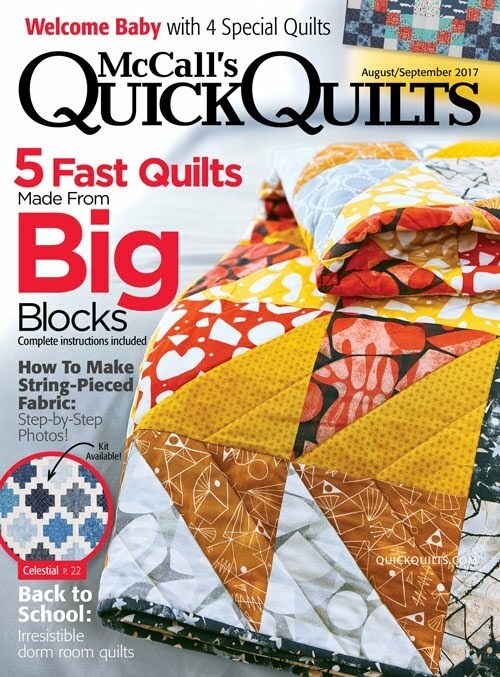 It was always that first step that got me as well as flipping over the paper back and forth, especially forgetting where to sew the next line. Ladies, you get an A+ (American), 6 (Swiss) and a 1 (German) from me! You did a fanstic job at sewing your leaves together. They were all so great in different color combinations too. I liked all of them which ranged from only solids in contrast colors, to a mix up of vintage fabrics depicting the different season. May I show you some of THEIR INCREDIBLE work? 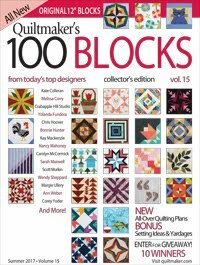 Being a pattern designer it is extremely rewarding to see what other quilters have made with your pattern. 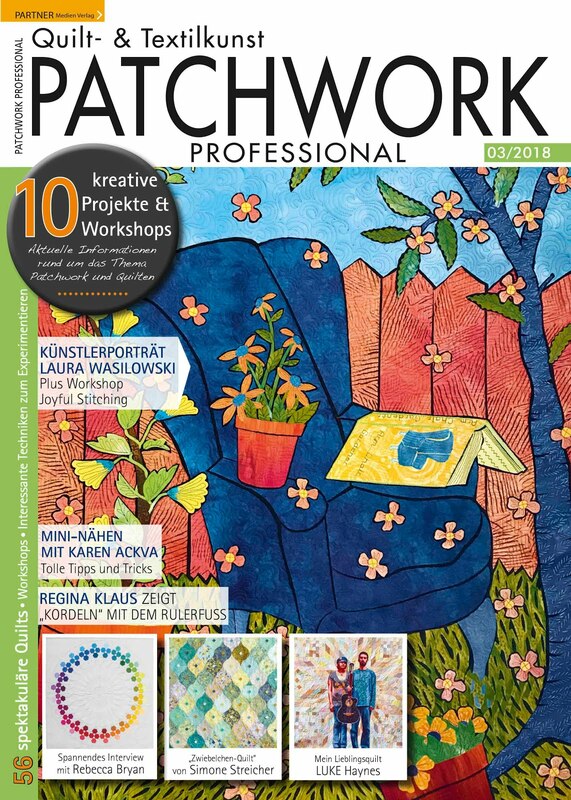 It warms my heart seeing so many beautiful patchwork pieces. Bravo, ladies, bravo! 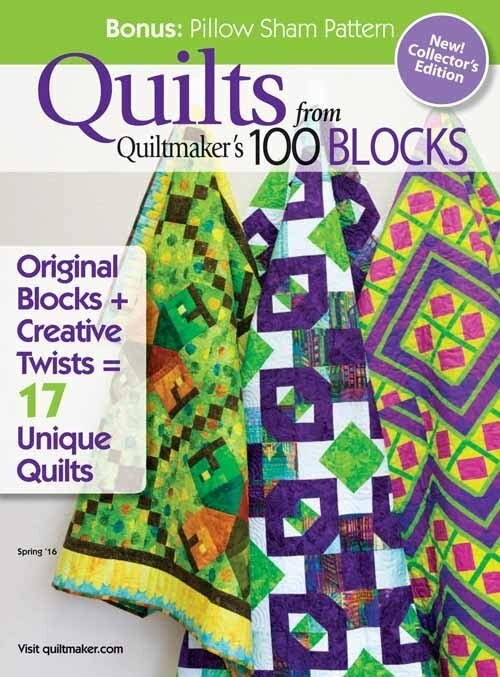 I look forward to seeing more paper pieced blocks and quilts MADE BY YOU! 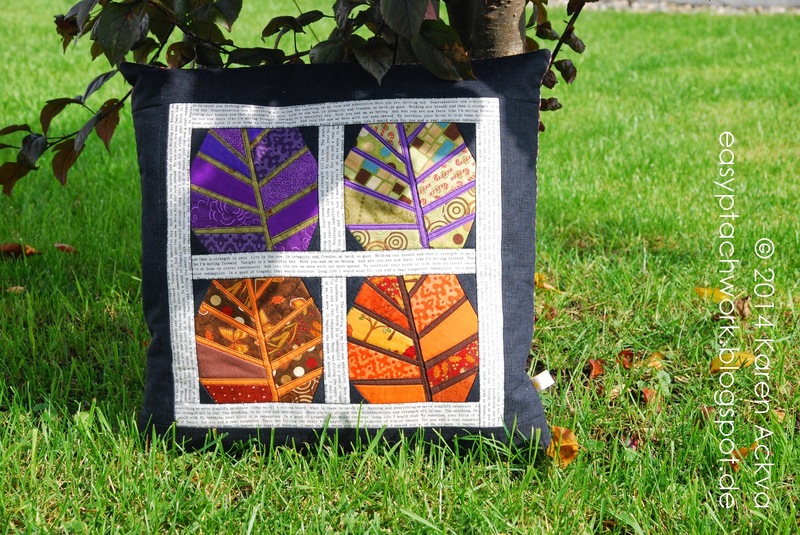 If you are intersted in making your own autumn leaves wall hanging, you can get the 5" template pattern on Craftsy. 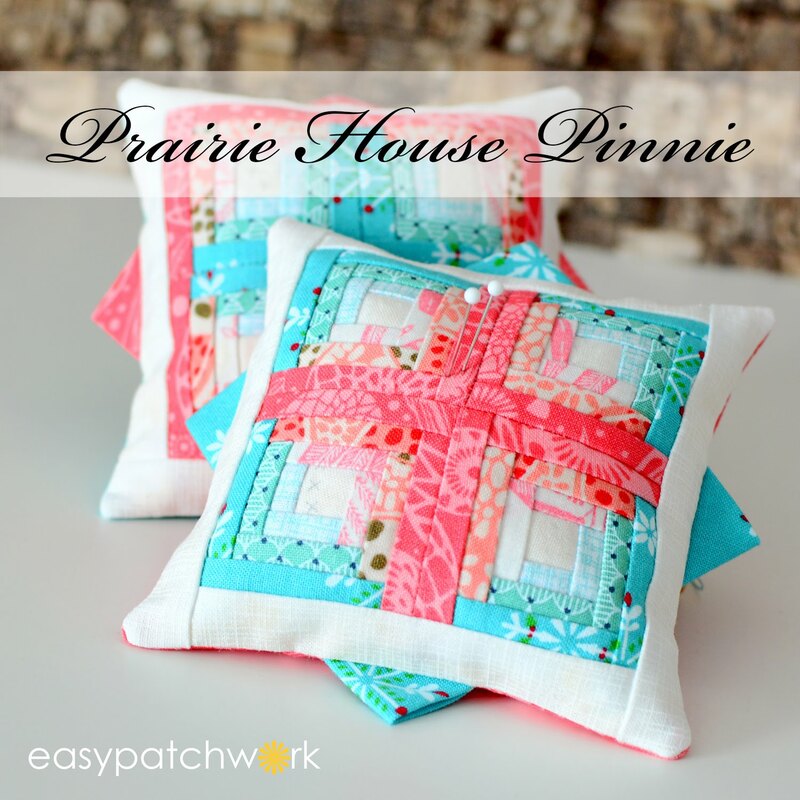 Are you looking for a full-catered, patchwork retreat that is well organized and thought out? 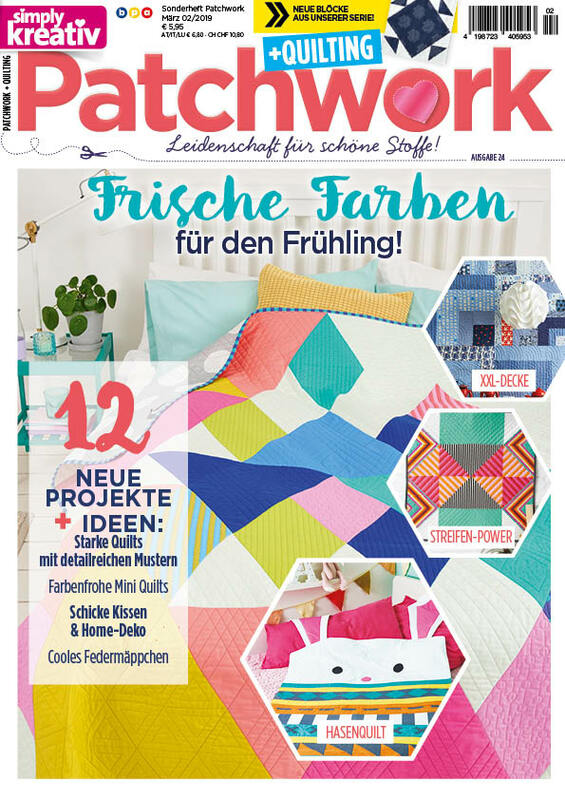 Do you want to leave your sewing machine at home or need to buy some thread or more fabric while you are there? Not to worry! 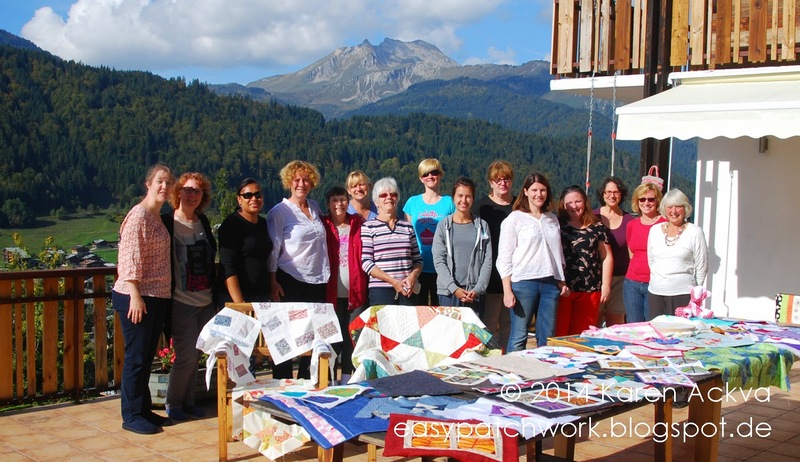 This retreat has it all such as sewing notions, fabrics, sewing machines on site (if desired), comfortable accommodations, fine food, massage, nail services, hot tub access, expert quilting & patchwork instructors, a diverse program of different quilt projects and quick activities all in the most exquisite of locations - a chalet in the French Alps! 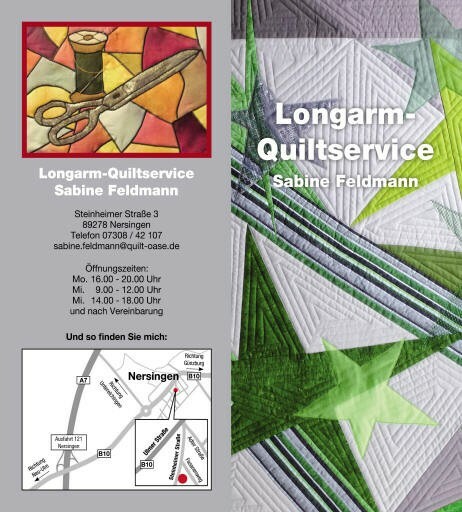 This full service, complete retreat is offered through Elita Sharpe (The Busy Needle Quilting) from Geneva, Switzerland. 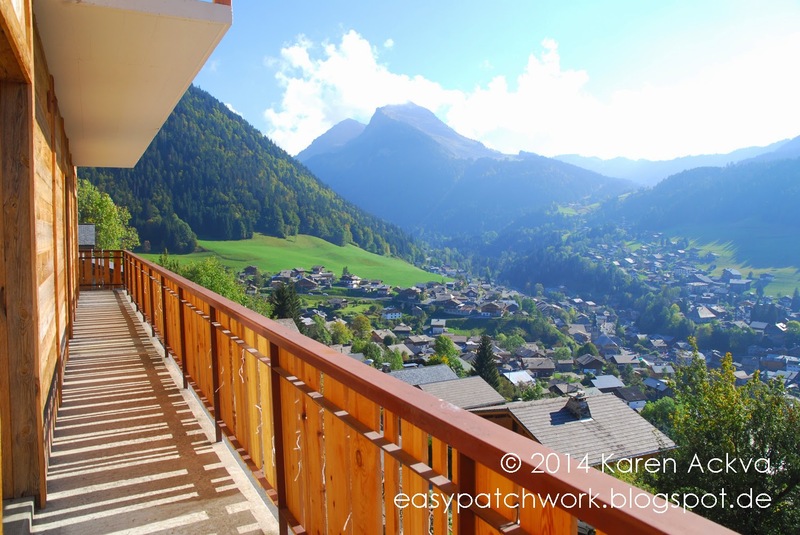 Her very well organized and well thought through quilting retreats in Morzine, France offer everything an international quilter might want at the Patchwork in the Peaks Retreat. Elita has been organizing retreats for several years now perfecting the ultimate patchwork retreat experience. 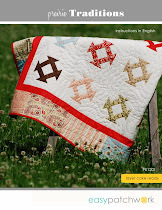 She is ever humble in her abilities and knowledge and helps you on your way as a quilter to further develop your skills as well. She neither boasts nor brags and is always reassuring and helpful. 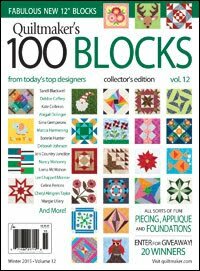 Elita has been quilting for over twenty years and runs a long arm quilt service and a small online patchwork shop in Geneva. Being a quilter herself, her passion is to provide a haven for quilters to get together, enjoy their time off quilting and share their experiences with one other. 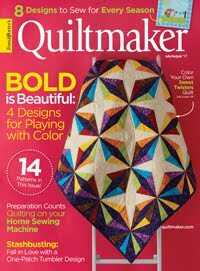 I was so honored to attend this wonderful retreat (Peaks 6) last weekend where I was not only warmly welcomed by Elita and her group but also instantly accepted by the other quilters who have previously attended. Thank you, Elita, Gina and Crew! 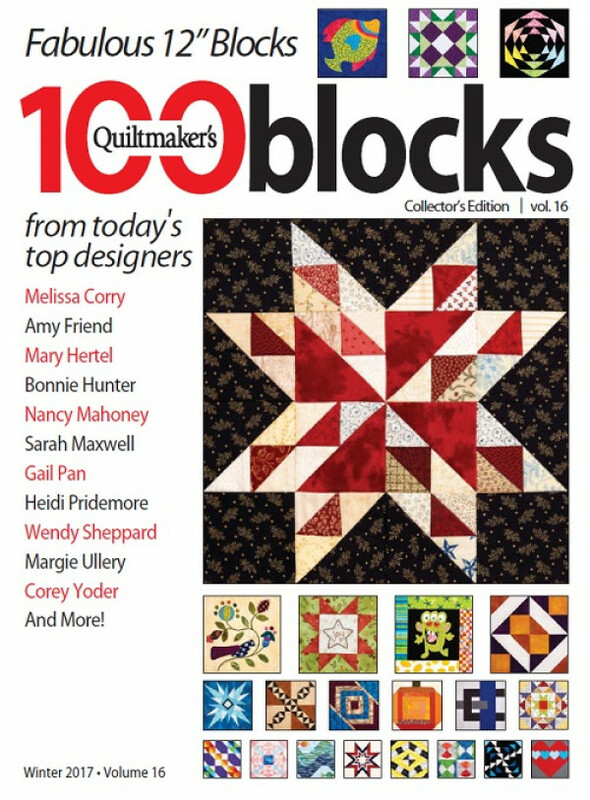 As a group of sixteen quilters with a wide range of experience from the near novice to the professional, there were absolutely no problems with understanding, because the pace was set by your own needs. Both Elita and Gina (her right hand and additional instructor) helped us along with our projects. They always made me feel comfortable - no rush, no worries, no pressure. If I didn't want to sew, I could just sit out on the terrace and have a glass of wine if I fancied it better. All projects were optional. You could just sew on what you brought with you, if you preferred to. 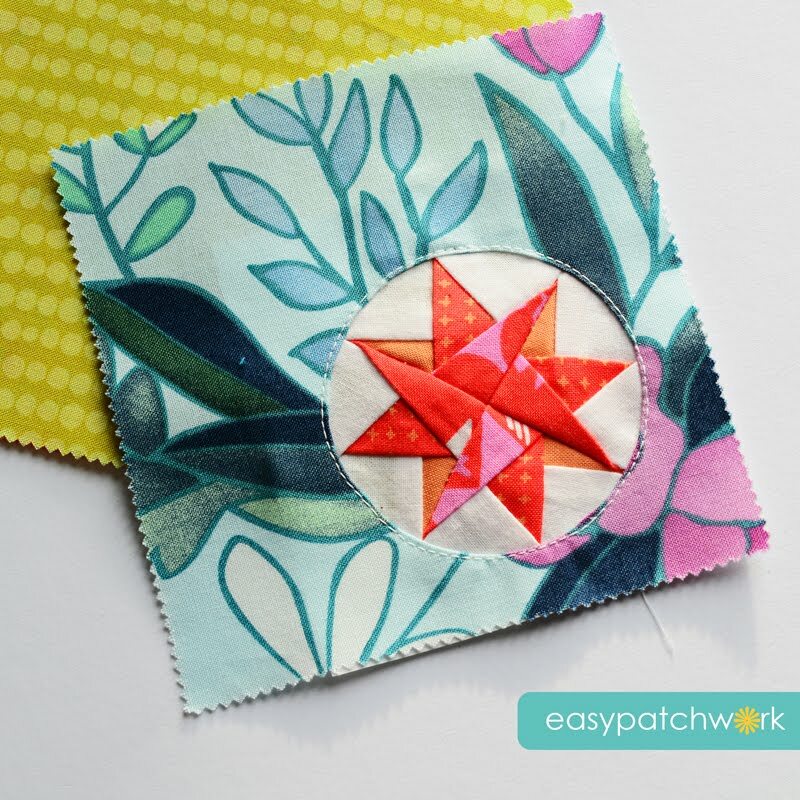 Elita introduced us to a Y-seam exercise with the spinning card trick. Most of us were a little challenged with the new Y-seam, and I think I heard a few interesting words thrown into the air, but we all mastered the project in the end. Our projects adorned the wall of fame by dinner time. I too was most definitely challenged by this seam. I try to avoid it at all costs. But I continued on and made the $&§% thing! Most of the projects were organized in the mornings and other activities such as nail services, massage or hot tubbing in the afternoons. 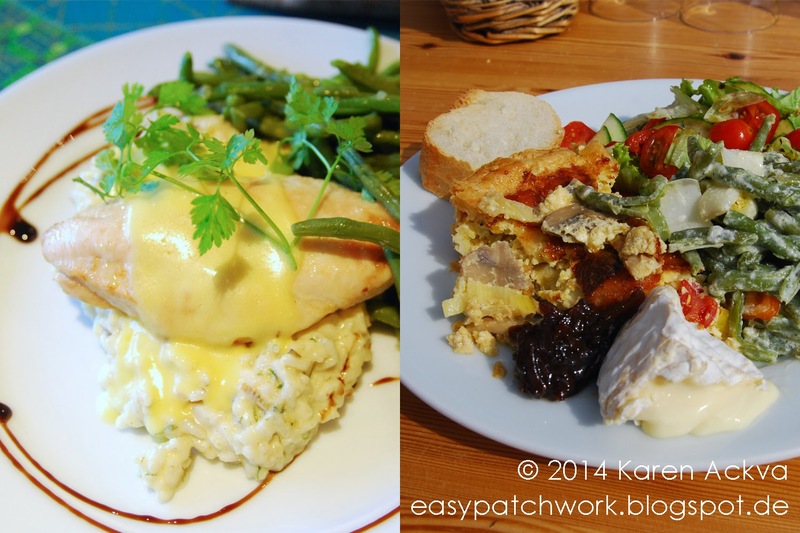 A French/English breakfast including porridge and baguette was served for breakfast, a light yet filling noon-time lunch and a very savory dinner & dessert in the evenings. I didn't take a picture of my chocolate croissant bread and butter pudding we had for dessert one night, because it simply disappeared too fast. Delicious! It was a slight change to my typical "German-style" cuisine of breads in the morning and evenings, but I adapted quickly. Thank you very much, Lou! 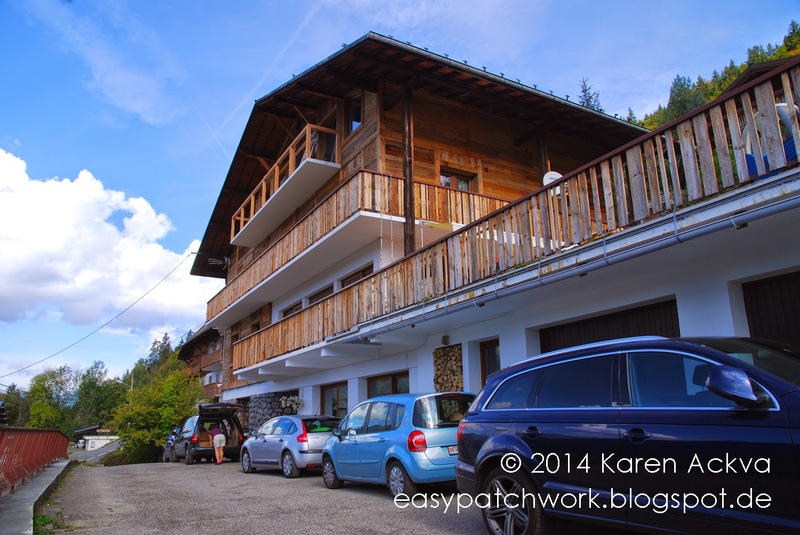 Not to mention the two lovely hosts of our chalet, Karen and Richard who thought of everything to help our visit more enjoyable including shuttle service to and from the airport as well as the most awesome entertainment on the way back. 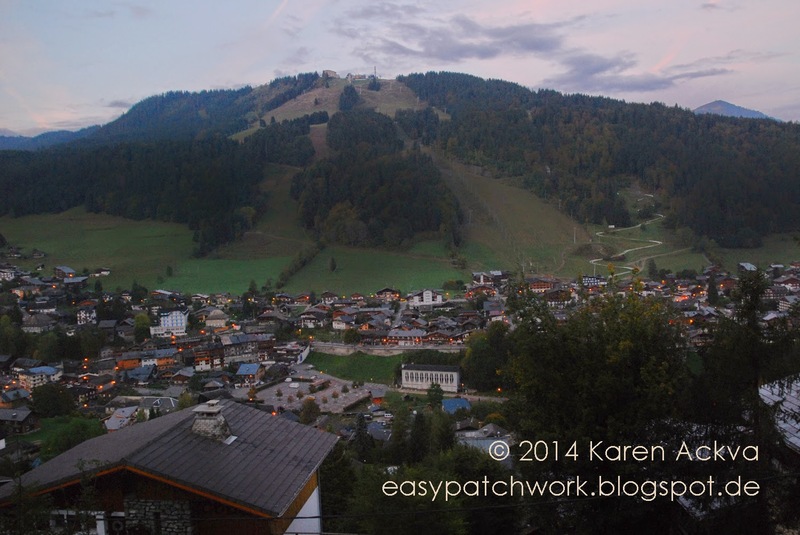 If you are a future guest of the Mountain Lodge Company, don't forget to ask for the Julie Andrews package and tell them "Karen the blogger" mentioned it! Thank you, Richard! I didn't have to be so nervous about catching the plane; you got me there with a good amount of time to go. This retreat and chalet caters to the English-speaking community which allowed me to feel absolutely comfortable speaking in my native language and opening up to the others around me. Sometimes, I tend to freeze up and shut down when others around me are talking too fast or I don't understand a foreign language as well as I should. Here, I felt like I really belonged especially since I met others who also had very similar life journeys and experiences such as myself. I feel that I made a few more friends on this retreat and look forward to my next visit for another awesome experience. I am very curious to see what type of agenda Elita and Gina have planned for the next retreat coming up in April 2015! Are you? 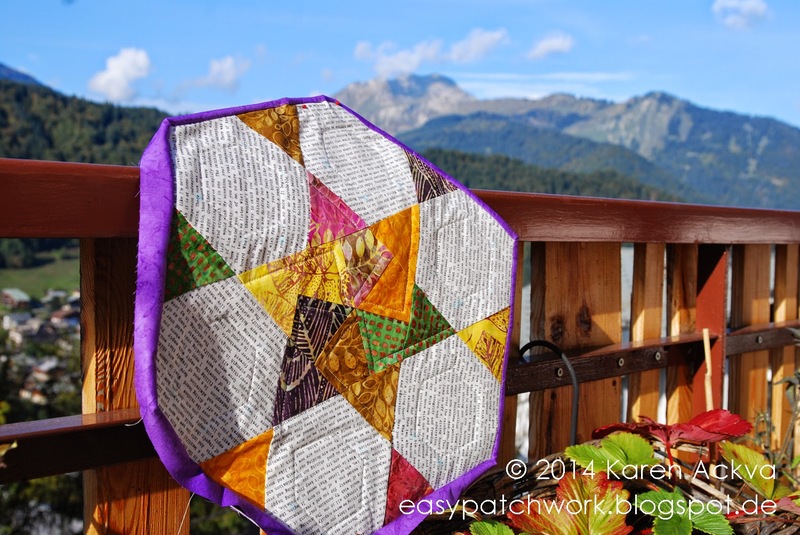 Did I mention that I have always dreamt about a quilting retreat in the mountains in the fall? 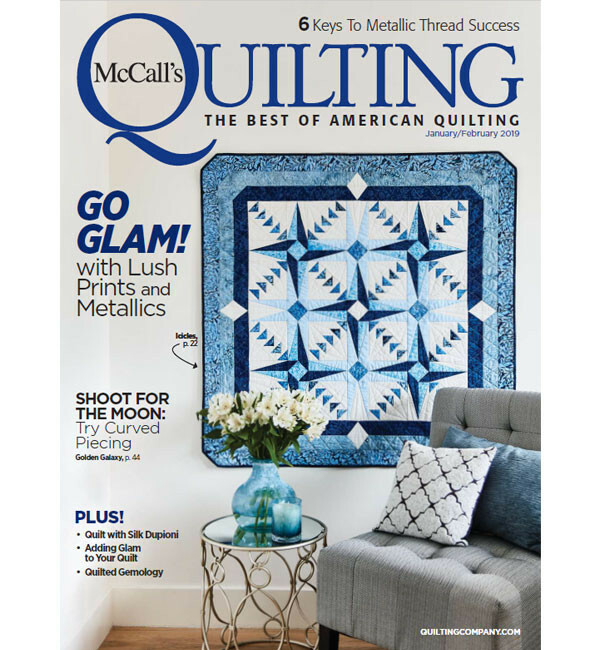 As a patchworker reading American quilting magazines, you will find advertisements for ultimate quilting retreats in the ski areas, surrounded by nature - locked in with other patchworkers for a quilting experience away from your families and other distractions. I have been searching and yearning for such a retreat in Europe for years now. And now I have found it, and I don't think there is any way you can improve upon it. Elita has fulfilled all of my expectations and more. There was even perfect 20°C weather with sunny skies every day!! Thank you, again, Elita! And for those of you who joined in the fun for the long four-day weekend, thank you for putting up with my little paper piecing intro. I hope it helped you learn a new technique that you will continue to use and feel confident about. I truly enjoyed your company and look forward to continuing this new friendship. Most importantly, I look forward to seeing you again at another Peaks Retreat!! THANK YOU EVERYONE!! Big Hugs! 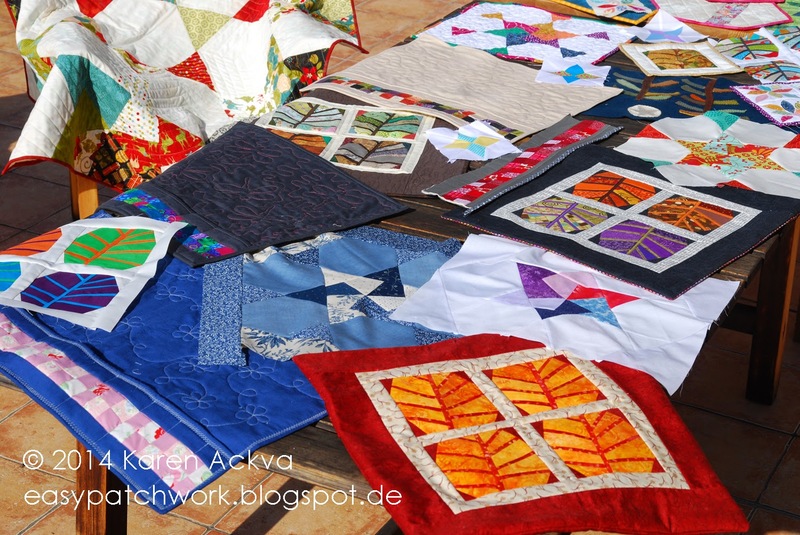 I am a member of the Doll Quilt Monthly swap where optional monthly themes are supposed to challenge you and your partner to make something creative yet on an achievable small scale. I sat the summer out and had no exchanges but so was anxious to get back in the game and start designing again. I really do love the challenge of designing for someone else; just give me a theme, and I am all over the challenge. It jolts my brains with new ideas and possibilities. The themes for September were Farmer's Market & Back to School, but I thought if we got a jump on Halloween, we both could put something out on the kitchen table for the rest of the next month of October. 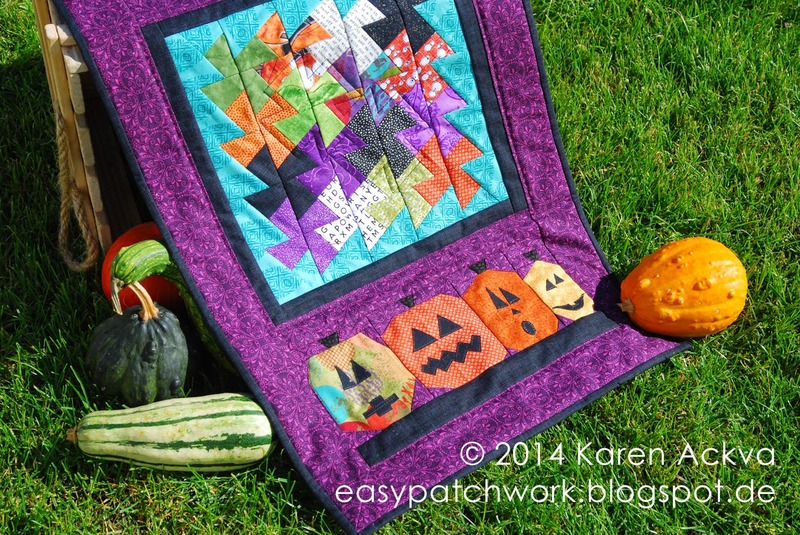 I quilted just the outline of the pumpkins and thought about an allover or meander in the purple areas. Since I am so afraid to mess things up, I just left the purple areas open. 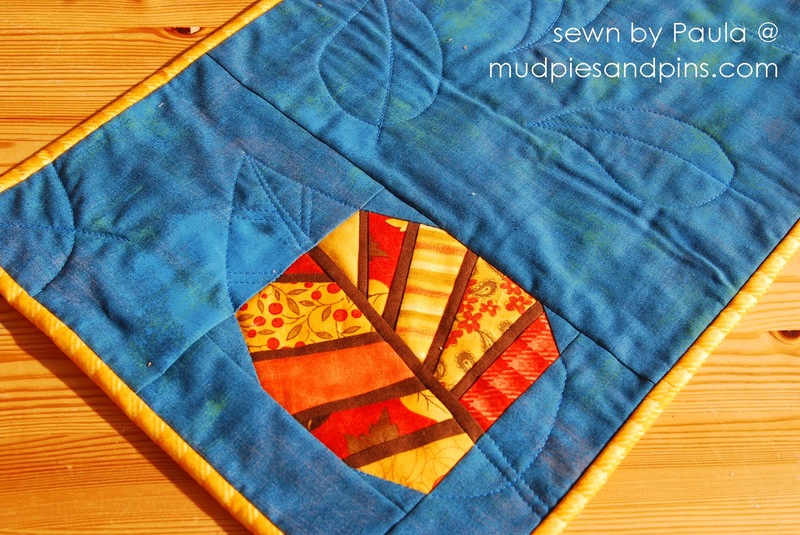 I quilted the outer border of the whirlwinds and outlined the center two in the middle. I finished it off with a 1/4" binding. The faces were fun to make, but not as easy as you might think. Not all looked good with the "standard" face. 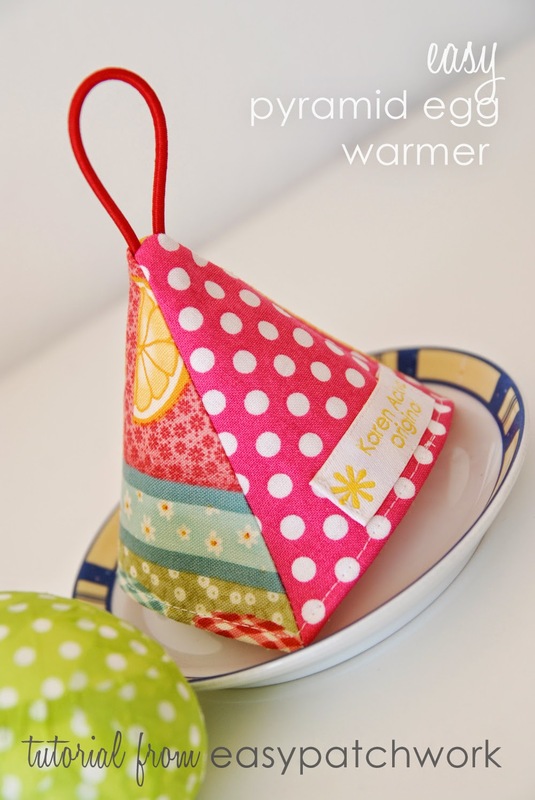 It must have been that great fabric I used called Juggling Summer from Brigitte Heitland. 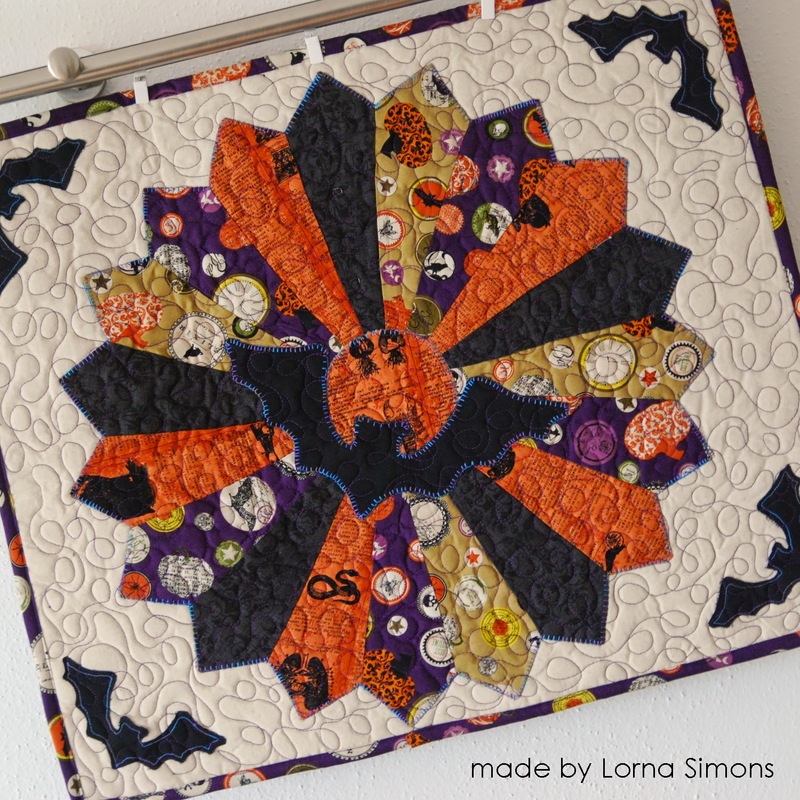 It was a great choice for the more sophisticated Halloween quilt. I love celebrating Halloween and am happy that Trick-or-Treating is seeping its way into German culture. (It was actually there a long time ago with "Zuckerruben" and going door to door!) 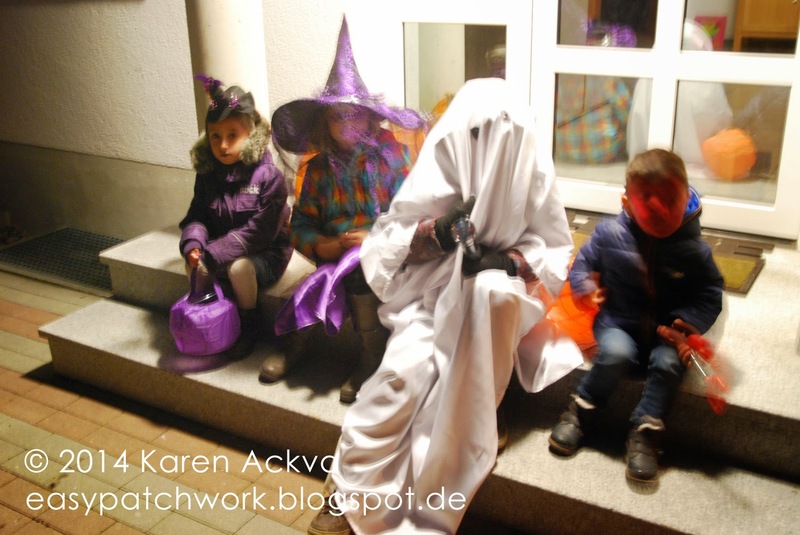 I went last year with my kids Trick-or-Treating with my dear neighbor, Derya and her two kids. We had a lota of fun! I am not sure we are going to go this year. We are expecting friends for a weekend visit and think it would be nicer to visit Lego Land. I am sure they put on a fantastic show for Halloween. I just have to put this cute little label on it using my new style and technique of outlining in the binding color/fabric and hand sew it down. It goes into the mail on Monday morning! 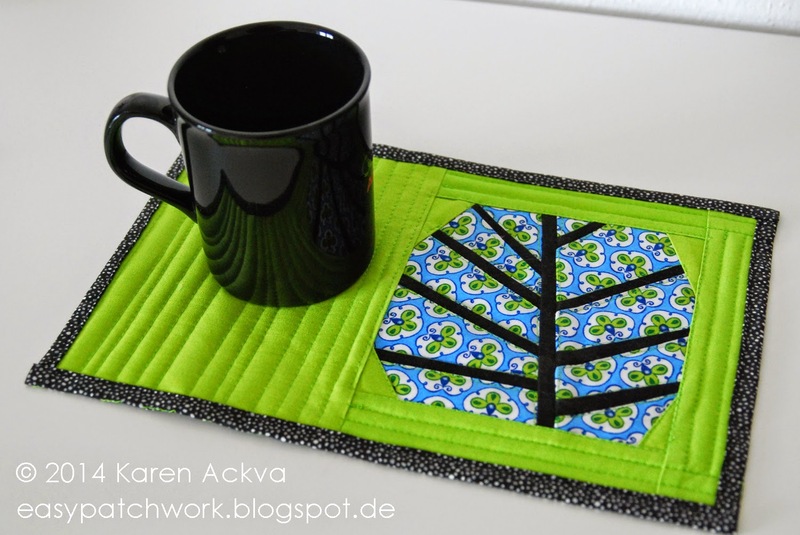 I really had a lot of fun creating this table runner. Maybe one of the funnest parts was the fact that I used fabrics from my stash only; I didn't buy and new fabrics! 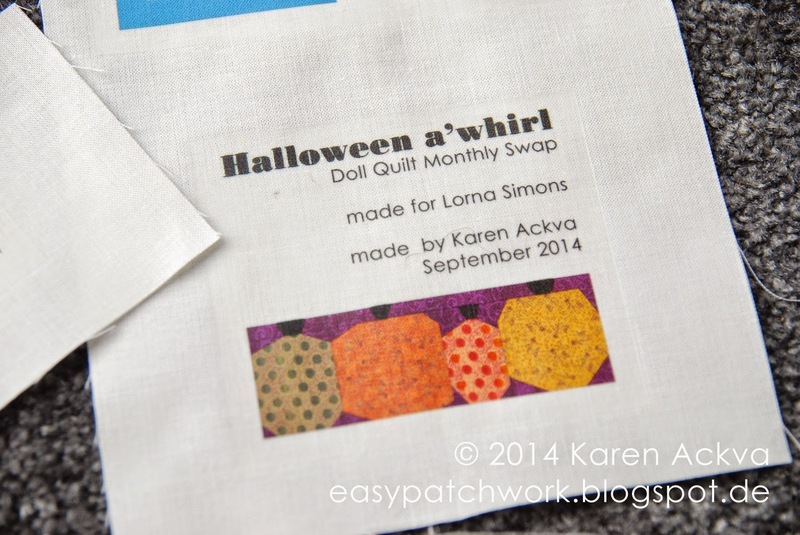 Most of the whirlwinds and pumpkins came straight from my scrap bin. You can learn more my creative process here.